The unique configuration of the Nano-Strop makes it ideal for keeping your knives in tip-top condition. Combining aspects of a flat strop with those of a handheld steel, there is nothing else quite like it. A 3/16" thick Ceramic Abrasive on the top of the bar provides the sharpening surface. The Ceramic strip is long and narrow at 13-7/8" x 1", perfect for taking long, smooth strokes with your knife. The kind of strokes that make maintaining a steady, consistent angle easy. The 10 micron abrasive can be used wet or dry, and provides an excellent balance between fast cutting and fine finishing, making for an ideal maintenance sharpener. And though it is used much like a sharpening steel the abrasive surface of the Nano-Strop is flat, not round like a traditional steel. This flat surface area contacts a wider area of the edge than a round steel does, making it easier to create a straight, smooth line to the edge of any knife. 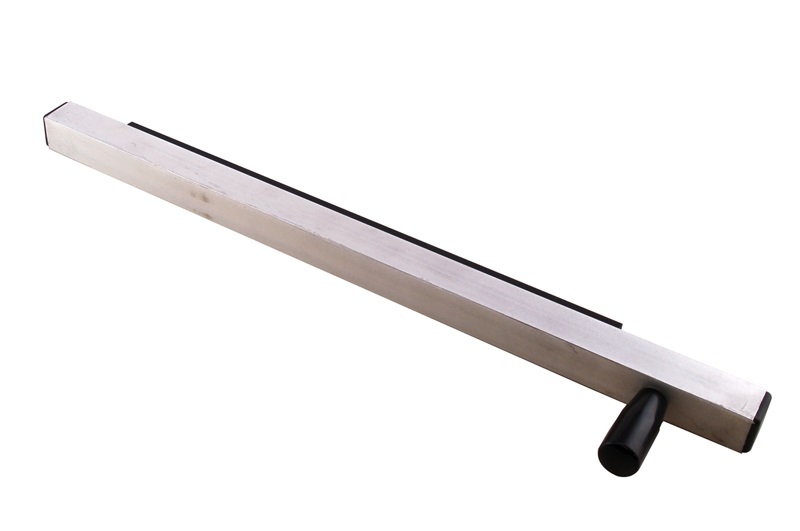 A handle is mounted on the bottom of the 19-3/8" support bar near one end. 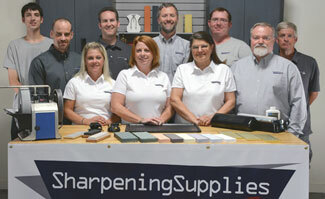 Use the handle to hold the Nano-Strop like you would a traditional sharpening steel for fast touch ups anywhere. Or, take advantage of the non-slip silicone mounted on the bottom of the bar by placing it over a sink and use the Nano-Strop as you would a bench stone. The Nano-Strop is available in two handsome options. Whether you prefer the brushed finish of the Aluminum or the eye popping wood of the Tiger Maple, you will be getting a tool that keeps your knives in beautiful condition, and looks good doing it.